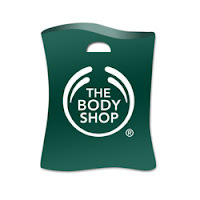 >The Body Shop Grab Bags are Back in Stock …. (basically after you add everything to your cart, it sounds like if you go back and add a second code (after you have already entered code WEL103) it will add a mini free body butter on top of everything else…let me know if this works and don’t forget to go through Ebates to get 10% back on top of everything else!!) I learned all this by a tip left in my comments about a tip left on hip2save’s blog…so awesome to share great finds and ways to make these deals even better…! Love it! « >Thank a Veteran Today….